Less than 10 percent of the population of Toronto is black, but according to a new study, black residents of Canada’s largest city make up 70 percent of fatal police shootings. The study, undertaken by the Ontario Human Rights Commission, was released on Monday and delves into seven years of data on police interactions. 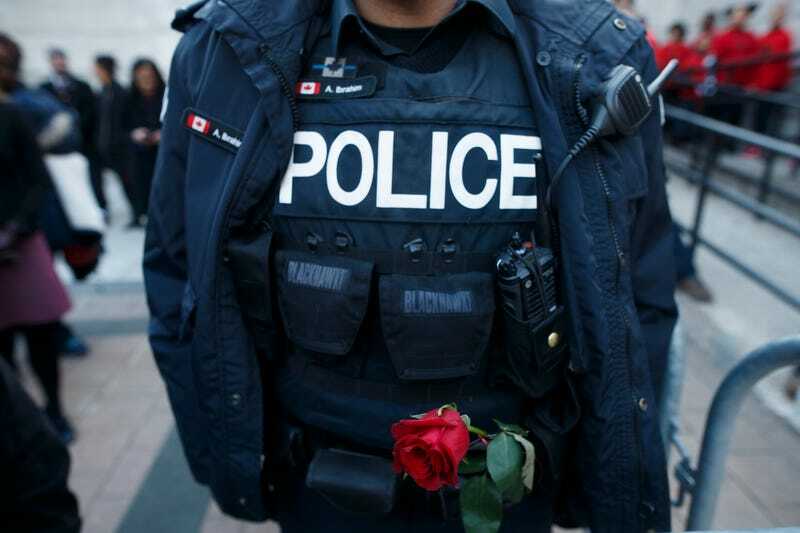 The data established an unmistakable pattern of anti-black racism in Toronto’s policing. Among the study’s findings, according to Al Jazeera: Black Toronto residents were 20 time mores likely to be shot and killed by police than their nonblack counterparts. They also accounted for 30 percent of all police use-of-force incidents that resulted in serious injury or death—with those numbers getting exponentially worse as the stakes get higher (when the police encounters are deadly, black people account for 60 percent of those interactions). Even more disturbing—those numbers have remained fairly static over the course of almost 20 years, Al Jazeera reports. “We recognize that there are those within Toronto’s black communities who feel that, because of the color of their skin, the police, including when it comes to use of force, have at times, treated them differently,” the statement read. One way the Toronto Police could confront those challenges is by granting the OHRC access to its detailed race-crime statistics. Commissioner Renu Mandhane called for the police to release these stats—running from Jan. 1, 2010, to June 30, 2017—on Monday, arguing that doing so would help to illuminate the issue of police profiling and discrimination and identify the root causes of the problem. The Toronto Police have supposedly opted not to disclose this information because the statistics “without proper context, could be racist in and of itself, and further damage relations between police and the black community,” writes Lorrie Goldstein for the Toronto Sun. Ah, yes, change without public accountability. Toronto—and the rest of Canada—needs to look no further than its neighbors to the south to see how well that works. Why They Kneel: Why Don’t Police Kill More White People?